The Gas Station Tacos blog grew out of my years trying Mexican food while fueling up. Eventually, I started seeking out gas stations with small taco stands inside and trying every one I could. 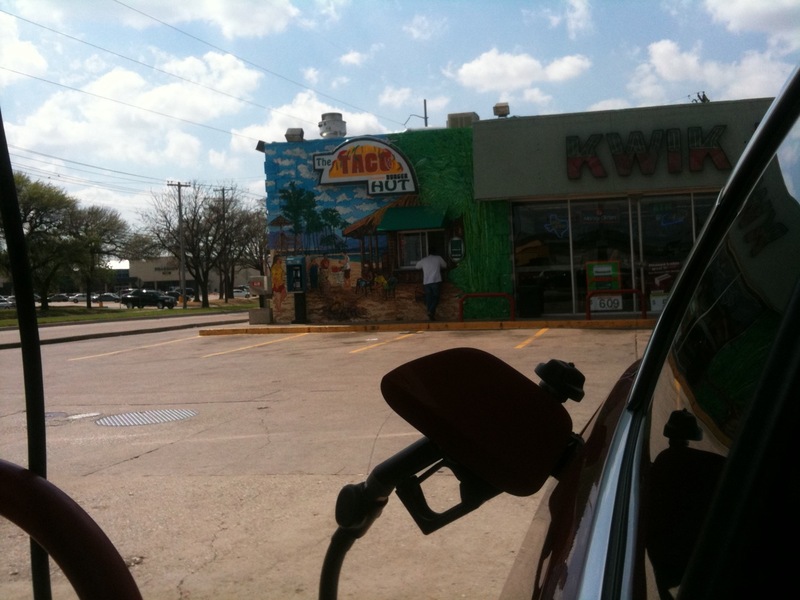 This was a fairly rare back when I lived in Detroit, Michigan for many years, but when we moved to Texas there were quite a few gas stations with an accompanying Mexican food offering, often called a Taqueria. These days I live in Los Angeles with my wife and twin boys. The site of a gas station Taqueria is a rare one, but fortunately there are a few and several I’m sure to discover. Plus with some work and personal travel, I find the occasional gas station taco in places like Spokane, Washington and a place or two along the way to Northern California. My wife, who is a food safety zealot, actually thought I should start a blog reviewing my unique passion for Gas Station Tacos. I was a bit surprised by her promoting my previously named “disgusting habit.” So here I am with my thoughts on what I find on my quest for the perfect traditional Mexican taco served while refueling my car. I define a traditional taco as one made with a small corn/flour tortilla with a meat, chopped onions and cilantro. Sides typically include a hot sauce and a lime or lemon and when really done right, a charred jalapeno. I enjoy cooking and eating. I’ve taken a variety of cooking classes and enjoy the art of cooking. You can see some of what I do at home on my other food blog: Sustainable Dad. I am not a professional in any sense of the word. So please take my opinions here as those of a casual diner. In my professional life, I lead digital in the Western Region for the PR agency GolinHarris. Please send me an email at gasstationtacos@gmail.com. Hello, your articles here Gas Station Tacos | About to write well, thanks for sharing! And you are…..? Your name is….? Heard you on TWiT today, and I think u said your twitter was CBackus? Well, there is a _CBackus – all the other CBackus’ have numbers after their name – which R U? You forgot to spell your name on TWiT / MM show! Two C’s? Very unccommonn. Apologies. It was displayed on the video but you were probably listening not watching. Will spell it out next time.